Mario vs. Sonic. Simply put, one of the greatest, most talked about, and not-nerdy-at-all topics over the last two decades. As a matter of fact, more people throughout the world have a stronger opinion when it comes to these two iconic mascots than on a host of other issues, including Boxers vs. Briefs, Bush vs. Gore, and Star Wars vs. Star Trek. However, even with all the limelight focused around these two characters, very few dare visit the dark, disturbing underbelly of the Mario vs. Sonic debate. So put that Sonic plushy back in the depths of your closet and get ready for the battle of the millennium. Everybody knows that the first event in any real competitive activity is always a drinking contest. Historically, drinking contest have settled great disputes like Grant Vs. Lee, the colonies Vs. the English, and even World War II. Not only that, drinking contests often end with hilarious results like the United Nations. 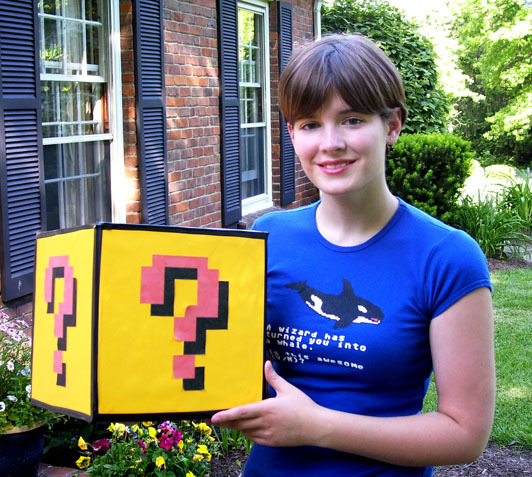 After years of deliberation, a scientific research panel concluded last month that Question Block is, in fact, completely solid on the inside. Additionally, it was discovered that the item dispensing functions of Question Block actually work via a deal made between Shigeru Miyamoto and the devil to power the Mario universe. The Random Monitor, just like any other electric appliance, absorbs alcohol like a champ. Projecting a display of its power-ups in short, random increments, Sonic's monitor has plenty of room on the inside to cram a wine cooler into. Despite the Random Monitor's upset in this contest, we can rest assured that the rest of this Vs. round won't be shy with drunken, off-hand comments. 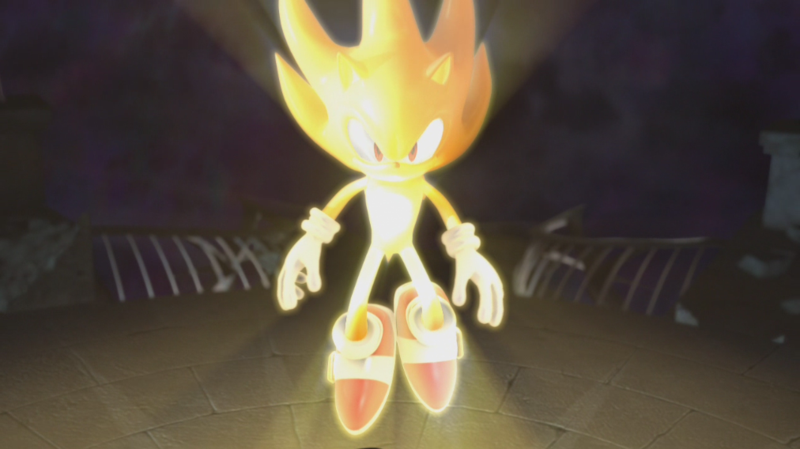 Remember Mario vs. Sonic at the Olympic Games? Probably not but maybe impressive video games sales are a good indicator of appropriate themes to settle rivalries in and swimming is an Olympic event last time I checked. At first glance, it seems that the monitor might possess an advantage in the water. Of course, at second glance, you'd probably realize that electronic equipment has a tendency to fail when thrown in a swimming pool. Question Block takes this round by default, despite its immobility not only in the water, but also on land. Is very serious business. It can be the crucial distinction between a critical hit and a total snoozer. Now I may not be Vincent van Gogh but I certainly do baselessly consider myself an art expert. And once, when I was sitting at a motel room in Italy and happened to be watching Bob Ross, I think he mentioned something about simplicity being the key to a fabulous art piece. The constantly changing display on the Random Monitor makes for an item too busy for its own good. How can anybody be expected to focus on a blue, anthropomorphic hedgehog while being distracted by flashing pictures? Besides, staring at a flashing monitor for too long can risk triggering your epilepsy. 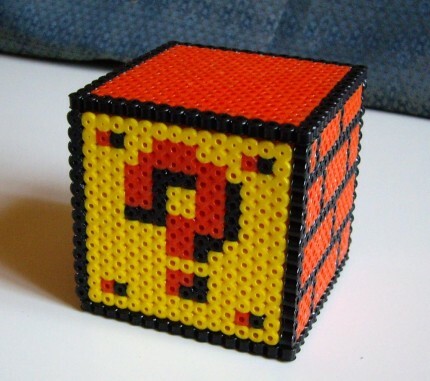 Mario blocks have a tendency to elegantly just sit there, the question mark conveying a mysterious aura of uncertainty. It could just be a couple of coins or a disembodied rabbit scalp. Question Block is also easy on the eyes - the subtle yellow background and familiar punctuation brings about nostalgic feelings of 2d Mario. But the best judge of art direction is definitely the level of difficulty of painting the object with a piece of folded toilet paper and the Question Block easily takes the cake. Ask yourself the following question. How easily can one of these two so called power ups result in a tragic death for Mario or Sonic? Before you answer that question, recall your most frustrating gaming experiences with these two series. I'm going to have to go with my gut here and hand this round to the random monitor for constantly finding new and creative ways to screw all my Sonic experience. There's really nothing like landing speed shoes and immediately using them to run into a line of spikes. Besides, even grandma can avoid a slow-moving poison mushroom. Manage to grab a star from a Question Block and turn invincible for short periods of time. What could possibly be more entertaining than jumping the Grand Canyon on your dirt bike without fear of death? No, it's not finding out that star power ran out about ten seconds before you hit the ramp. Rather, the post-holiday shopping buzz revolves around a new use for that old Sonic monitor gathering dust in mom's basement. For a limited time only, you can connect your Sony PlayStation 3 to your Sonic random monitor to play random games on the PlayStation Network. You'll have an approximately one in seven chance to land on the proper display channel. Now featuring Super Puzzle Fighter 2 HD! Score: Question Block - 2, Random Monitor - 2. There's only one way to settle a tie and that's a cage match. The set up is basic, two innate video game items enter a metal cage, one leaves, and the other is vacuumed off the mat. The problem with having two innate objects square off in a glorious last battle is that they can't really move. Actually, they both require a goofy video game mascot to trigger. MoDojo phoned both Nintendo and Sega for the purposes of concluding this Vs. feature but both politely declined to send their clients. Apparently, neither Mario nor Sonic are real. Even if we do look past these obvious lies, it's still virtually impossible to decide which random item is better. Turns out that it's just a matter of taste. So with that, I present to you the most objective and reasonable winner of this Vs. competition! 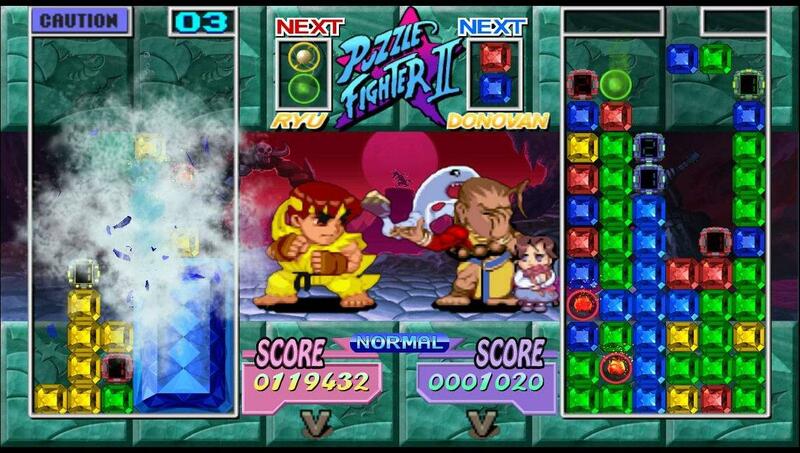 Overall Winner: Supple Puzzle Fighter 2 HD. Fantastic gameplay mechanics combined with your favorite, classical Street Fighter characters? Just show me where to sign. Sorry folks but platformers are out and puzzle games shall reign supreme in 2008! This is the only thing I made up.